You know how in a lot of movies and TV shows, there always seems to be a plot twist in which the team finds itself in trouble and the dashing lead runs out of ideas…and then the goofy misfit they let tag along for the ride suddenly saves the day. 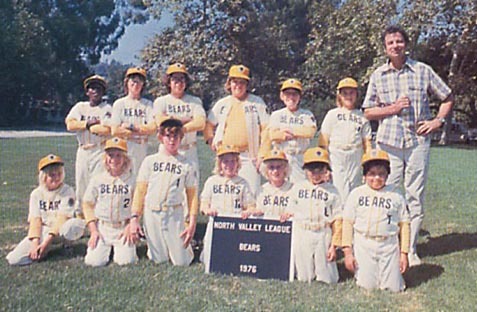 Take The Bad News Bears (but make sure it’s the 1976 version, ’cause the remake sucked). This was a team of kids who shouldn’t have been able to do anything useful – they couldn’t hit, couldn’t throw, couldn’t field…and yet they managed to win a Little League championship. My point here is that each member of your team has the potential to contribute something pretty awesome to your overall success. And maintaining the status quo simply because you are in “if it ain’t broke, don’t fix it” mode can have some pretty big consequences to both your team and your business. It keeps them engaged: It’s hard enough to get your employees to care about the day-to-day of their job. Your employee might be secretly waiting to unleash his/her brilliance unto the universe…but you’ve got that person doing data entry because you’ve got bigger fish to fry. According to a SHRM engagement study, 75% of respondents named “opportunities to use skills/abilities” as a top engagement aspect. Surprisingly, no one listed “being left alone to try and figure out how to stay busy” as a top factor for engagement. How ’bout that. You don’t know everything: You might think that everything is fine and therefore there is no need to get one of your resident experts involved, but guess what – you are not the expert, so it’s possible you don’t realize that your resident expert needs to be involved. Your employees might bring a fresh perspective to an existing problem that allows you to reach a solution, and they get to feel awesome doing it. Sounds like a win-win. Oh, and if your expert comes to you and suggests how you might be able to use him/her in a way that will add value, don’t brush them off. It’s uncool. Improves response time: We all know that the status quo is just WAITING to explode at some point. By keeping your employees in the regular rotation, they are kept up to speed and can proactively help you respond to potential issues. If you wait until things go south before bringing in your closer, you’re going to lose precious time bringing them up to speed, getting them focused, and hoping they don’t resent the fact that your lack of planning may have created their emergency. Helps you keep ’em: The days of people just wanting to keep ANY job are over. People understand that their job isn’t the be all, end all of their happiness, but they also know that they spend a lot of time at work and want to be relatively happy while they are there. Remember that whole “opportunities to use skills/abilities” stat? Turns out that is the NUMBER ONE factor for job satisfaction in that SHRM study. Your business will be better: There’s been some talk in the research about “passion vs. engagement” (see this report from Deloitte for details). Basically, the research argues that engagement is all well and good for a relatively stable world, but to be able to thrive in chaos, passionate employees are where it’s at. Passionate employees improve your business results and set you up for the long term because these employees are willing to stay with you through the good times and the bad, and are excited to take on new challenges and move the company forward. It’s not worth waiting until a crisis to involve your people. Don’t make your people beg to be involved. Chances are, most of them are sitting on the sidelines, just waiting for a chance to get in the game and contribute. Have a suggestion on how to keep your people involved? Or maybe a story about how YOU got in the game? Share in the comments!